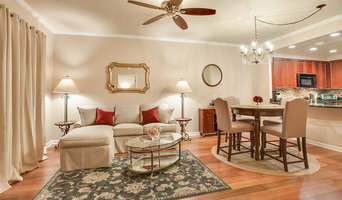 Professional Interior Designer based in north Florida since 1999. 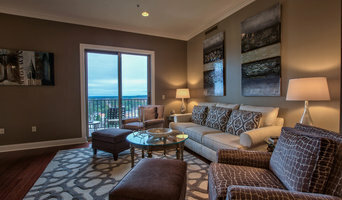 I'm a residential interior designer located in Tallahassee, Florida. I love design and it shows every day through my work. I also love my clients and strive to create beautiful spaces they will enjoy for years to come. I offer a wide range of services that include full room design, renovations projects and new construction. Each project (and client) is different and that is how I approach design. I would love to talk to you about your project! I manage a lot of different facets of design, from the building of the space – interior architecture and finishes, to the finishing of the space- furniture, art, and accessories. Residential and Commercial. NCIDQ Certified. Residential and Commercial Interior Design. Specializes in contemporary interiors. Servng the Tallahassee, FL area for 18 years. At n.d. designs, we believe that living or working in beautifully designed space brings pleasure to you. It subjectively impacts your attitude every moment of every day. Our goal is to make your personal or professional life more enjoyable by creating harmonious space that you will enjoy. We like to describe it as functional art because we are painting a practical picture comprised of color, light, form and texture that you will want to be a part of. Every client experiences the luxury of having four, very creative, energetic and responsible individuals working together as a team. Moving quickly and effectively, we bring your vision to life and deliver the finished product that exceeds your expectations. 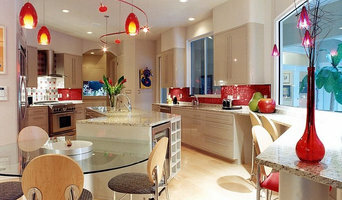 Nan Conway achieved her goal of establishing and operating an interior design company in 2004. With an uncanny eye for color, style, and design, Nan has taken n.d. designs to the top of the industry in Tallahassee in a very short time. Her warm and outgoing personality makes her the perfect ambassador for n.d. designs, and she couples that with an extraordinary work ethic and uncompromising desire to provide the best service possible. 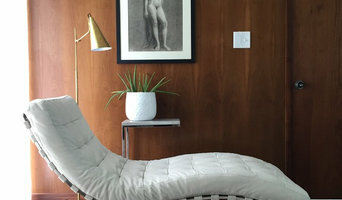 The perfect professional scenario encompasses being permitted to do what you love and her passion for design is exhibited in her work. Nan is more than just the team leader; she is the heart and soul of the company. She elicits the best from her staff, and together they bring the client's dream to life. 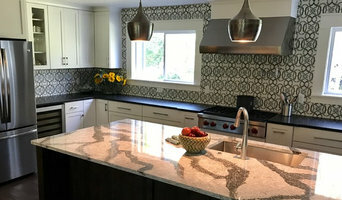 Her prodigious style, quality and confidence are compelling reasons to work with n.d. designs, and her clients, both residential and commercial, proudly trumpet her creative abilities that she has utilized on their behalf. Suz-Annz is the ultimate destination for exquisite furnishings. At Suz-Annz let us help you express yourself with you're own personal style. I am a Residential and Commercial Interior Design professional who has been South Georgia based for 17 years. I have extended experience in construction planning, remodeling, commercial design and residential decor. I am available for personal or professional clients. Tallahassee Decorative Fabrics opened its doors in January 2003. Since then, we have worked hard to provide current and classic and fabrics for the homes in the area. We have clients in Alabama, Georgia and Florida. We have a designer on our team to help with critical decisions. Our staff is always ready to help you in the store, online and on the telephone. Please call if you have a question. (850) 386-8900. We sell fabric, trim, ready-made panels, drapery hardware, pillow forms and some upholstery supplies. We offer custom draperies, bedding, pillows and crib ensembles. We make cornices and ottomans. We offer furniture from Miles Talbot and T.C.S. Designs as well as Thibaut Furniture and can deliver locally. If you live in the Tallahassee area, we can come to your home, measure your windows and spend an hour giving you design advice.